About Paragon | Who are we? Website Design – Anything You Can Imagine on a Website we Can Build. General Computer Software Assistance & Tech Support – We can remotely access and repair machines and offer chat and phone support services. 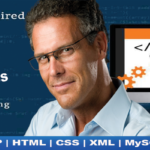 Our expertise includes over 3,000 brand name software titles at administrator or instructor proficiency. This includes MS Office, Adobe Creative Suite Products, Microsoft Windows and Server software and much more. Direct Mail design and implementation, Logo Design, Company Stationary – We also do Desktop Graphics, Corporate Signage Design, Vehicle Wrap Design, Brand Management, and Color Theory. All materials delivered in 5 formats: .pdf, .png, .jpeg, .ai/.eps or .ps full layers, printer ready art, bleed or no bleed with printer marks and color separations and text outlined for proper printing techniques. We have over 27 years experience in this division alone. Secured Custom Database Application Design – Our Database Applications are built: Web Accessible in a Bootstrap Framework with a Modern, Clean, and User-Friendly Interface. Business Analytics, Dashboards, and KPI Systems & Custom Report Building – We also do Cube Reports & We can build these dashboards web based and segregate reports by department or user as requested with each division having their own private secured with user/pass web page for their own reports. This way they don’t have to look at everyone else’s reports to do their job and one page has every report that user needs access to in a manner that is as easy to read and efficient as possible. Graphics, Graphs, Charts, Gauges and Scrollable/Sortable Grids are used. 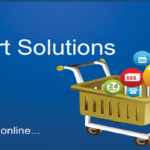 Shopping Cart Solutions – Installation, Design, Theme Modifications, Product Import/Loading and even Price Modification Systems. Custom Shopping Cart Product Upload to Google, Amazon, and Ebay and others, Custom SEO Digital Marketing Services for E-Commerce. ParagonTech is a group of professional web designers, web developers, and programmers with extensive experience and amazing talent. Our team of professionals collectively have over 30 years of experience in website development and over 370 certifications. We have done over 4,000 websites over the years and accomplished every task as assigned by our clients successfully. Customer care in our number one desire. Word of mouth advertising is where we get much of our business from. We provide affordable and cost effective solutions to any web service we offer and do so efficiently. ParagonTech was founded by Mr. Kingsley Paragon whom currently serves as our company President and Sr. Programmer Lead Architect. His days are spent coding, teaching and managing all technical services and integration. Mr. Paragon remains current with all major industry forums, social media, SEO updates, programming languages and e-learning services to ensure our team is always trained to highly proficient levels in all website applications, development, and integration. 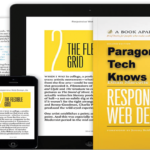 Mr. Paragon understands the importance of responsive website design and the new push to mobile media and how every ounce of content affects your ranking on search engines. He is one of the world’s foremost experts on SEO and digital marketing in the industry. Our leader Mr. Paragon also expects our team to make our designs accessible for client modifications and therefore we often use WordPress in our designs to allow our clients to edit text and graphics without damaging the elements of design or digital marketing efforts or functional programming that goes into the sites development. 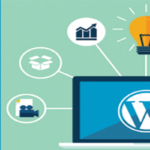 Mr. Paragon’s experience in WordPress includes the creation of many WordPress custom plug-ins and customizations as well WordPress community training and contribution to the development of the core WordPress software. You cannot find a better WordPress development team than our team! If you want to know more please just email us at MR@MrParagon.me or go to our contact page. You will find our service is impecable, promt and always to your satisfaction as well as affordable. 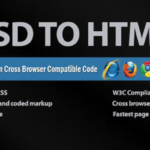 I am sure we can make your life easier as we work together to achieve the web you always imagined for your company. Let Us Turn Your Idea into Reality! From beginning concept to code to a fully running application to marketing and selling it to billions of users. We can do it all. 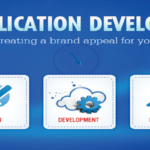 Trust the number one web development firm in the world ParagonTech. Our goal is to help your organization achieve Unlimited Internet Sourced Wealth. ParagonTech has offices all over the world from the United States and into Europe and even in Africa. Our team members are fluent in several languages including English & Spanish. Most of our team members are from the United States. However, some of our team members also work remotely. Scheduling is easy to accommodate for your company. Our headquarters are in Lehigh Acres, Florida, USA and our Satellite offices are in California & Ghana. ParagonTech has a firm, longstanding partner whom we have worked with and continue to work with on many custom projects. Our Partner 3plesea Technologies Ltd. is an active team of powerful programmers and developers who are carefully background screened and tested regularly as well as constantly trained in the latest tech.